Argan oil's many benefits start with the fact that it provides every healthy thing you want for your skin and hair. 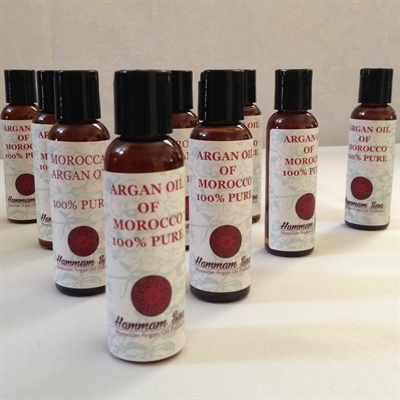 Argan oil is full of antioxidants, vitamins A and E, rich in the essential fatty acids Omega 3 and Omega 6. Grown organically only in Morocco. Fatty acids like Omega-6 and Vitamin F are said to benefit the skin in that they provide moisture. This wonder oil helps keep your skin and hair nourished and revitalized without clogging pores to keep you looking beautiful from head to toe.